Conan O’Brien’s Clueless Gamer has been running for a couple of years now, a comedy segment where the late-night talk host plays video games with world-famous celebrities such as Lord of the Rings star Elijah Wood, Game of Thrones actor Peter Dinklage and musician Wiz Khalifa. This time, though, O’Brien has teamed up with fellow comedian Kumail Nanjiani to play the upcoming Lord of the Rings video game Middle-earth: Shadow of War. Nanjiani himself played a role in the making of the game, as he voices an orc character named “Dugz the Agonizer”. One of the key features of Shadow of War is its Nemesis system (O’Brien sure seems amused by the name of it in the video) thanks to which players face “dynamically generated” enemies in the game (a phrase host O’Brien says his assistant must have been practicing “all day in the bathroom”). 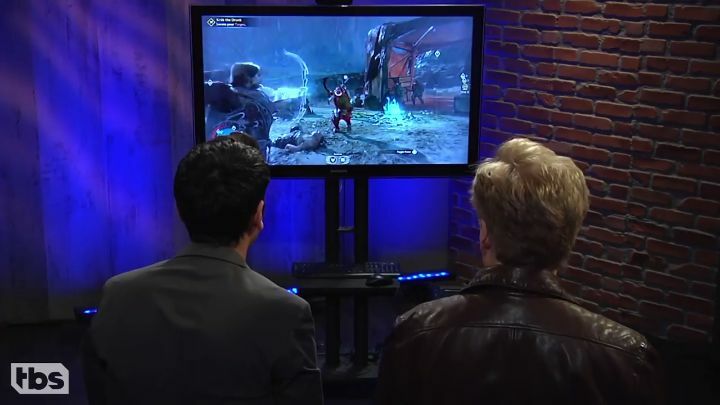 There are other funny bits in the video, such as when O’Brien confuses an orc fortress with a Thai restaurant, and when Middle-earth: Shadow of War creative director Michael de Plater shows up to defend Nanjiani’s voicework after his performance had been berated by O’Brien (“Did you do that over the phone?”, said the late-night talk host about Nanjiani’s orc character voice). All in all, this is another funny Clueless Segment by O’Brien, and also a chance to take an advance look at one of the most eagerly awaited games of the year too.